Since our grand opening in August of 2013, we now have locations in Kowloon, as well as in Hong Kong Island East side. For franchise information, please contact our founder Mei Chen directly through our About Us section. Thank you. 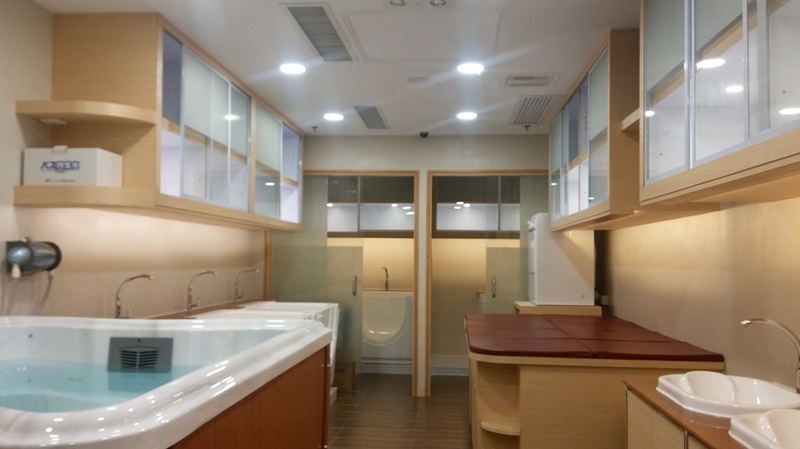 Baby Spa Luxe TKO Branch is equipped with 5 individualized swimming pools, 2 VIP rooms, and one large pool equipped with 2 water filters, ozone disinfection, and filled with drinkable water maintained at 34-35 degrees Celsius. We are conveniently located inside the Tseung Kwan O Plaza mall. To get here by MTR, simply exit at the Tseung Kwan O stop along the Kwun Tong Line. Take Exit C and enter Pop Corn Mall, take the escalator up one floor and follow directions to Pop Corn II, then to Tseung Kwan O Plaza. 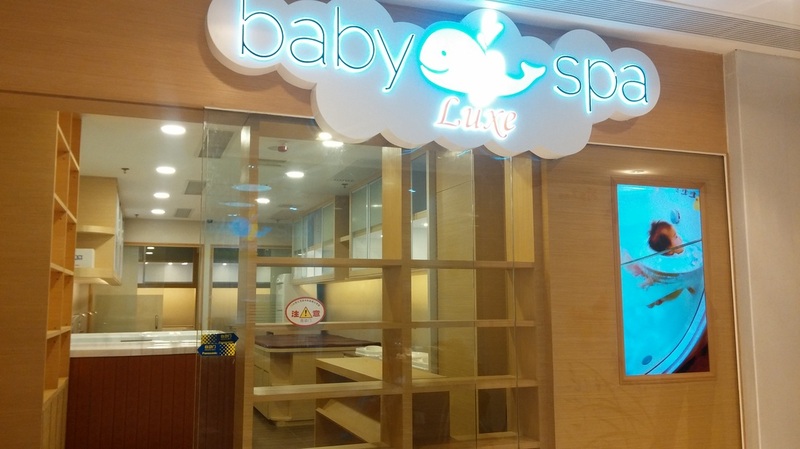 We are located on 2nd floor next to the children's play area of AEON. We offer 2 hours of free parking at the Tseung Kwan O Plaza. To get here by car, simply take the Wan Po Road, exit Po Yap Road, make a right at Tong Chun St, followed by an immediate right on Tong Tak Street. At the end of the street is Tseung Kwan O Plaza taxi station and parking lot. Our address is Shop 2-074, 2/F, Tseung Kwan O Plaza, 1 Tong Tak Street, Tseung Kwan O, Kowloon, Hong Kong. 1 large swimming pool equipped with 3 water filters, ozone disinfection, and filled with 34-35 degrees drinkable water that is changed everyday. We are conveniently located inside the Heng Fa Chuen MTR mall. To get here by MTR, simply exit at the Heng Fa Chuen stop along the Island Line. Take a left at the MTR exit and enter the mall, take the escalator down to ground floor, we are located next to Jumping Gym and across from KFC at shop G07. 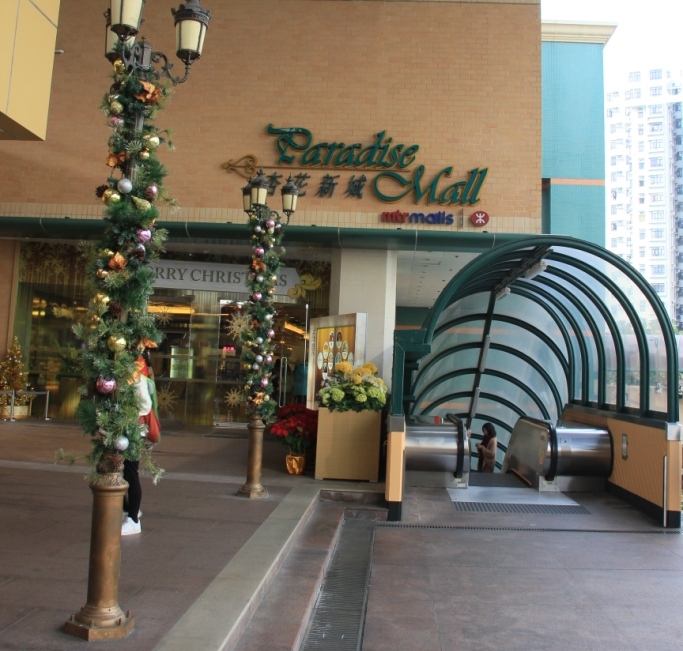 We offer 2 hours of free parking at the Paradise MTR mall. To get here by car, simply take the Island Eastern Corridor, follow the sign for Heng Fa Chuen exit, follow the main road, Shing Tai Road, straight ahead and you will see the MTR mall to your left. Pass the turn-about and KFC and you will see the mall parking entrance to your left. There is a walking bridge that connects the parking structure to the mall on the 2nd floor. Our address is Shop G07, Paradise Mall, Heng Fa Chuen, 100 Shing Tai Road, Chai Wan, HK Island.